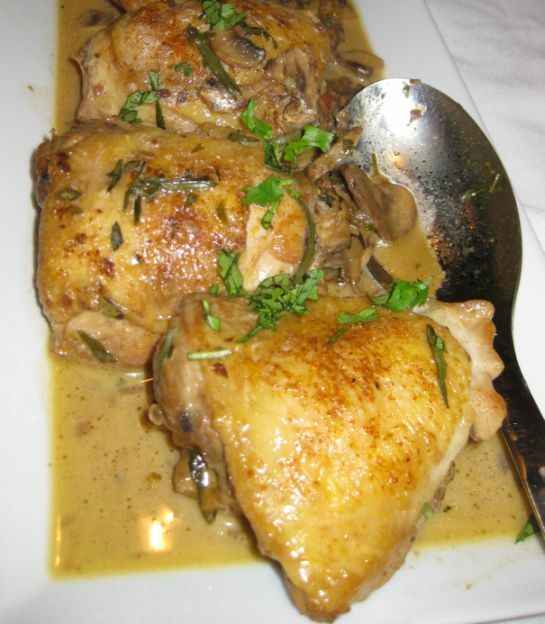 Chicken with mustard and Tarragon cream sauce is a classic French dish. 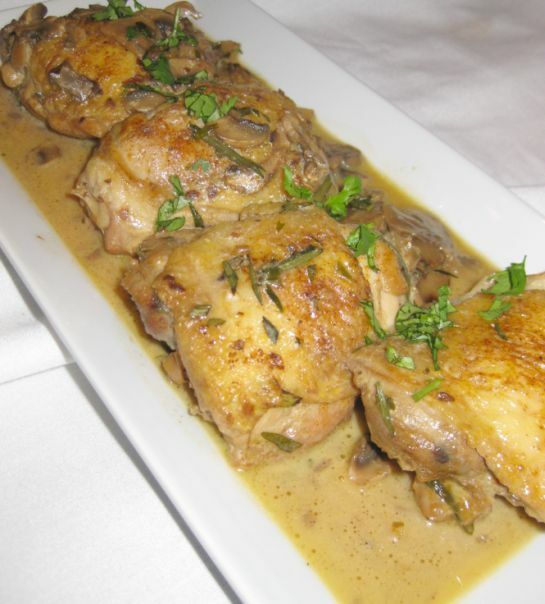 A touch of mustard and tarragon cream simply brighten and elevates the taste of the chicken . 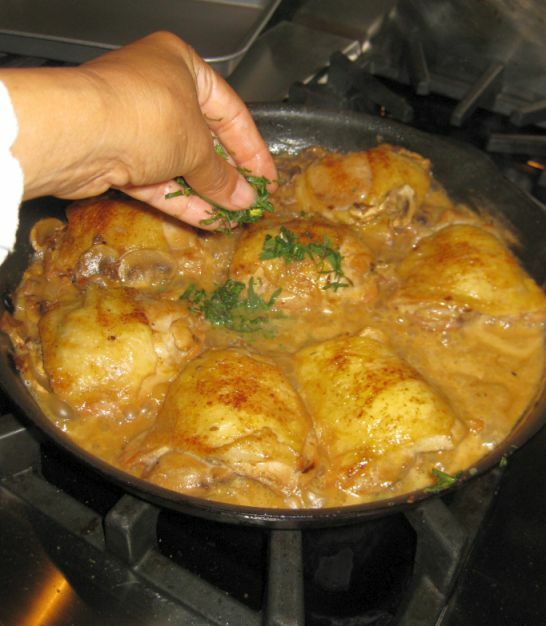 Serve this dish with egg noodles, rice pilaf, boiled new potatoes, or with plain white rice to soak up the luscious sauce. 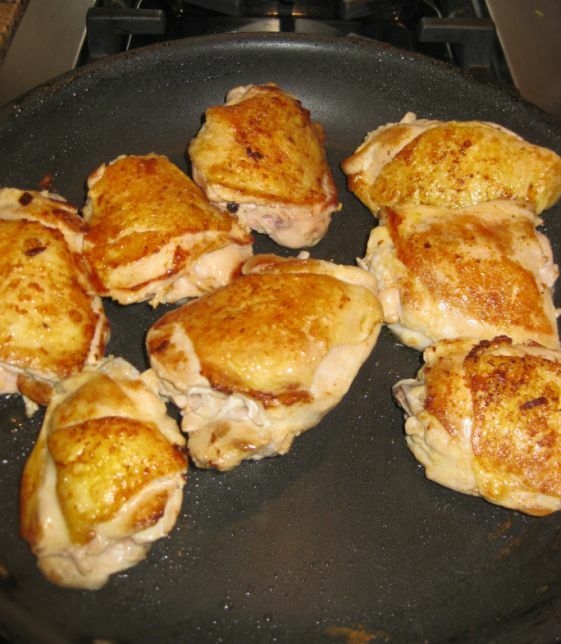 If you want to turn ordinary chicken into a special treat then try out this recipe. 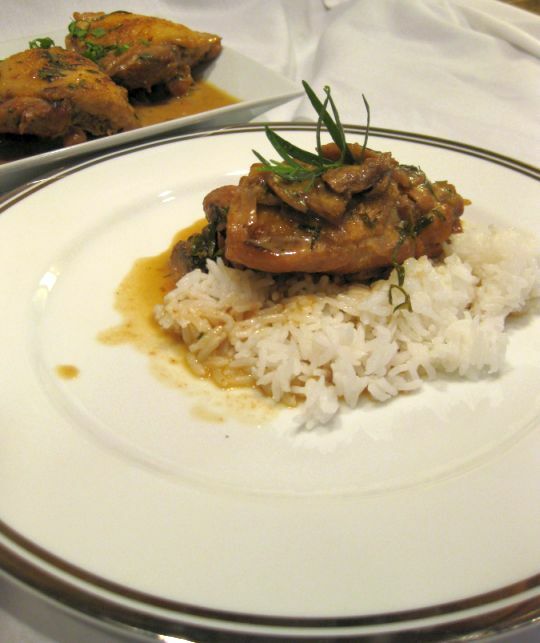 The Chicken is first browned and then braised with shallots, white wine, and chicken broth; then served on a bed of rice and smothered in a rich mushroom, tarragon, mustard, and creamy sauce. The sauce is really Fantastic! DELICIOUS! I can't stop eating the sauce. 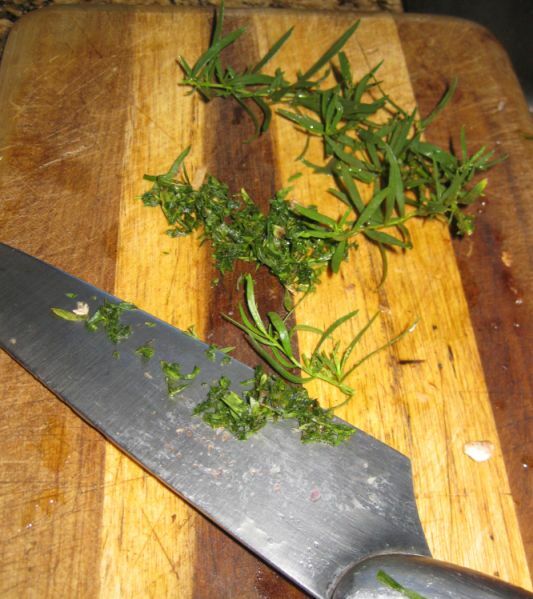 Tarragon has an aromatic property reminiscent of anise and it gives the dish a nice flavor. 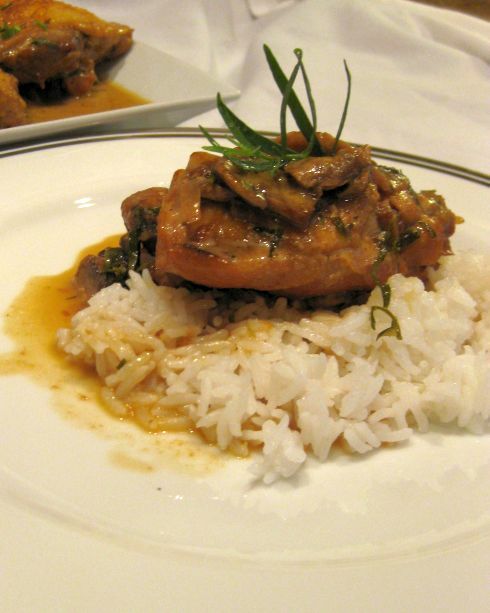 Close up look at dish. 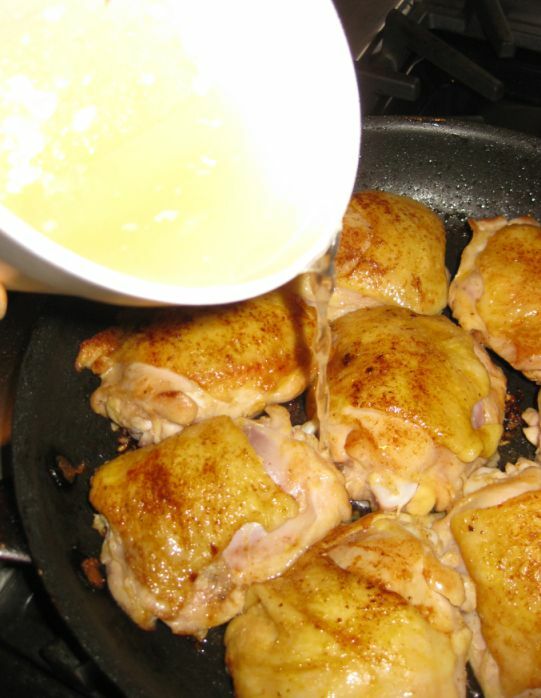 Melt the butter with the oil in a heavy large skillet over high heat. 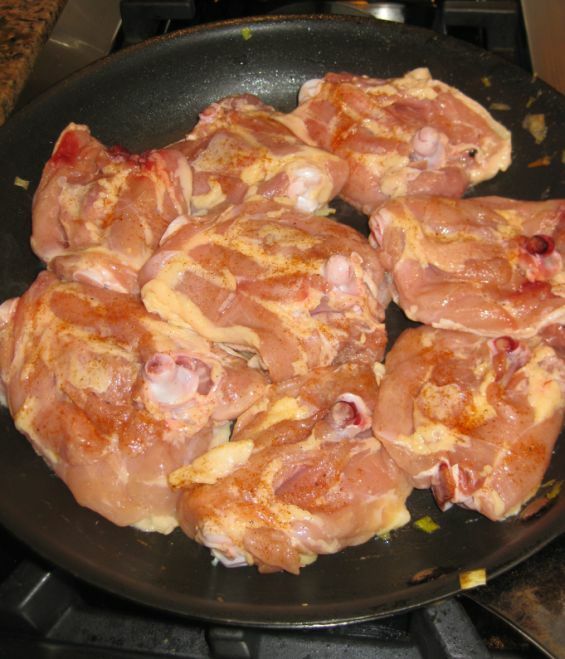 Sprinkle the chicken with salt and pepper. Cook skin down, until brown, about 3-4 minutes. 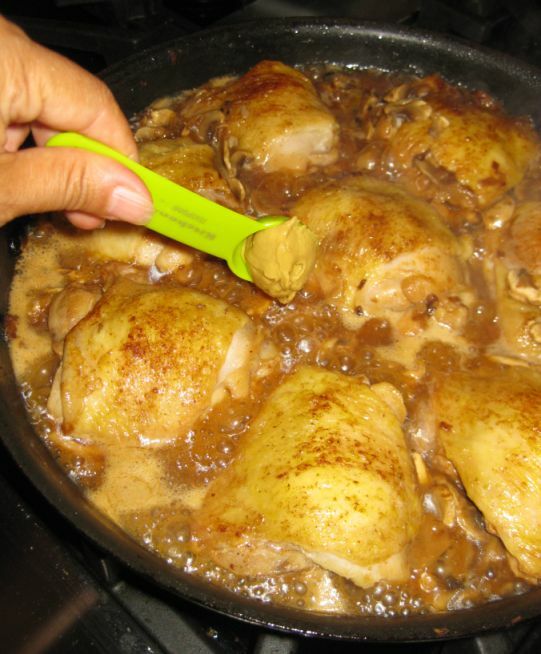 Turn over, cook for a few minutes until brown. 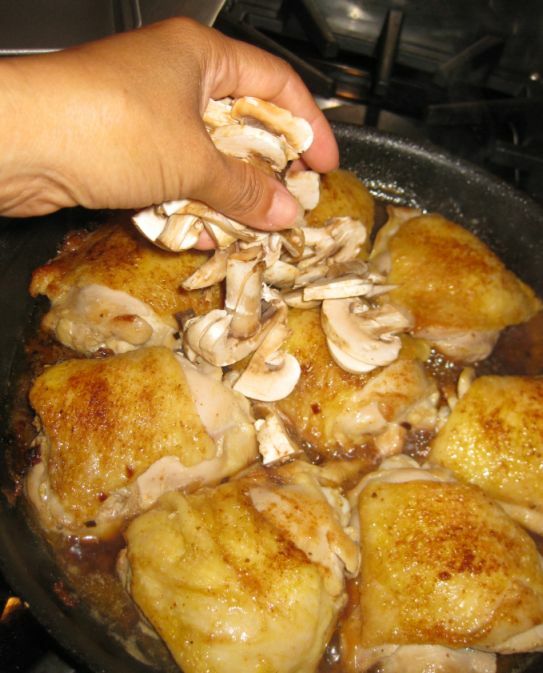 Transfer the chicken to a plate and set aside. 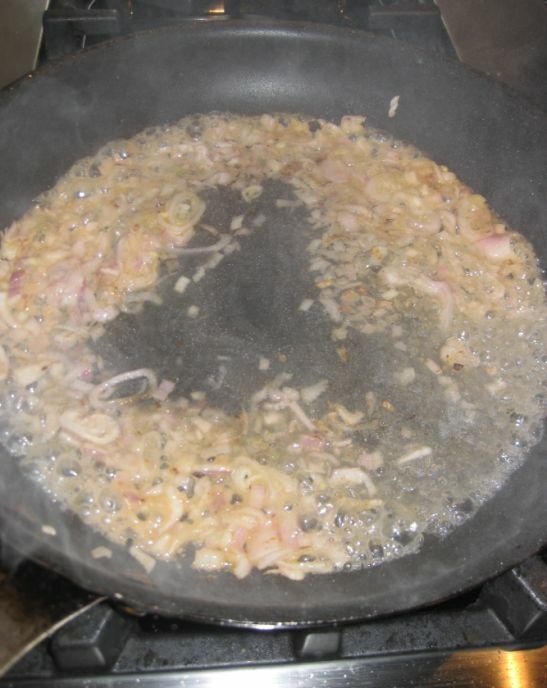 Add shallots to the same skillet. 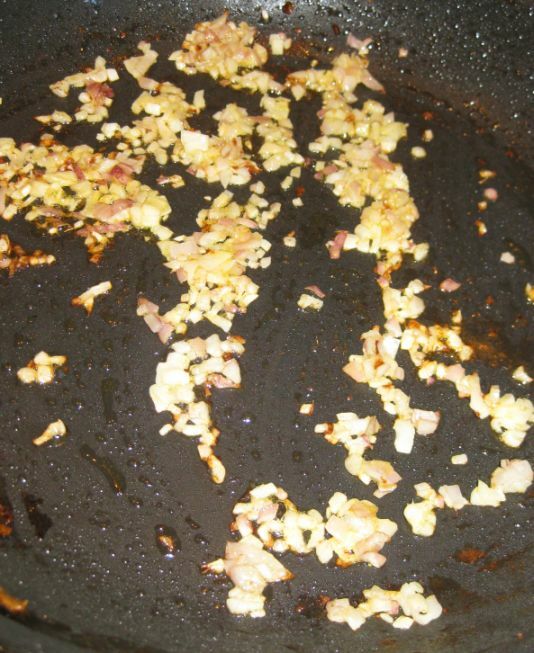 Reduce the heat to medium low and sautéed until soft about 3 minutes. Let the wine cook down until most of it has evaporated. 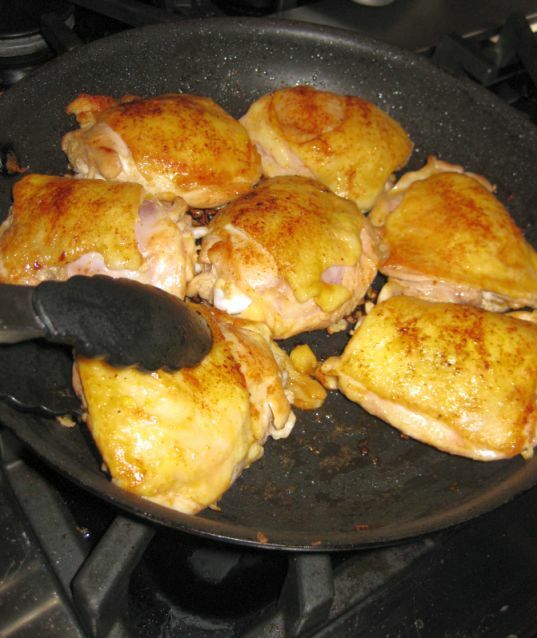 Put the chicken back in the skillet. 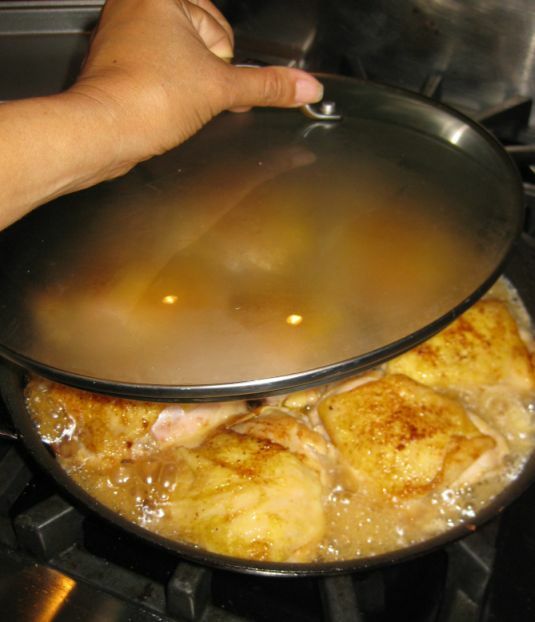 Pour the chicken broth inside the skillet and let it come to a boil. Reduce the heat to medium high. 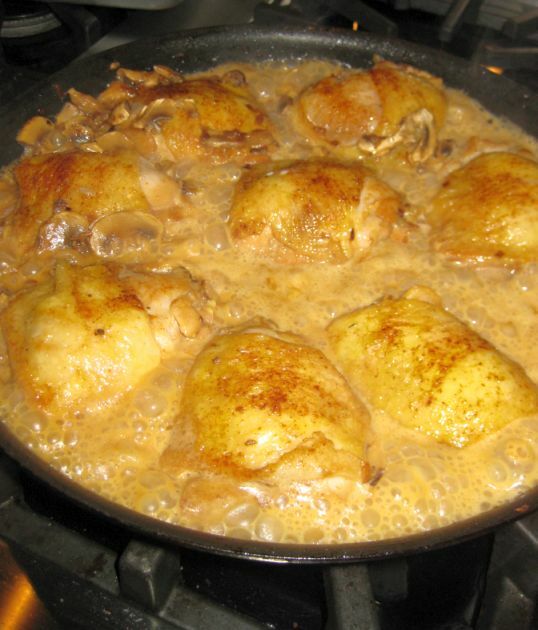 Cover the skillet and let it simmer for about 15 minutes. Add the mustard and let it cook for another 5 minutes (medium heat). 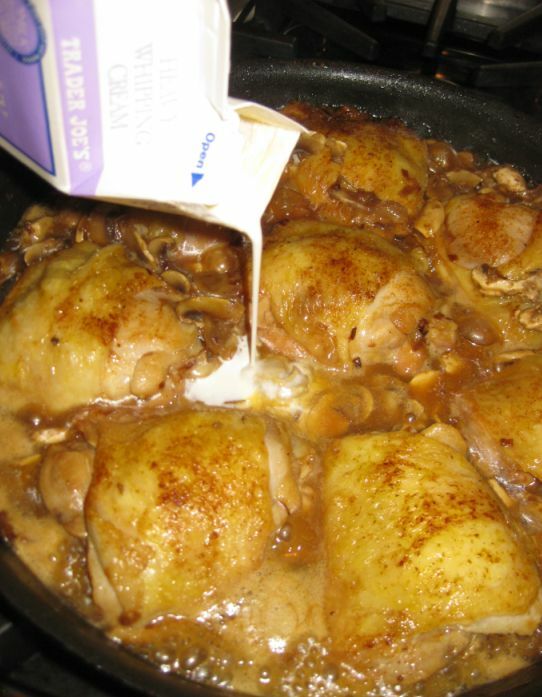 Pour the cream in the skillet..
and bring it to a boil and let the sauce thicken about 2 minutes. 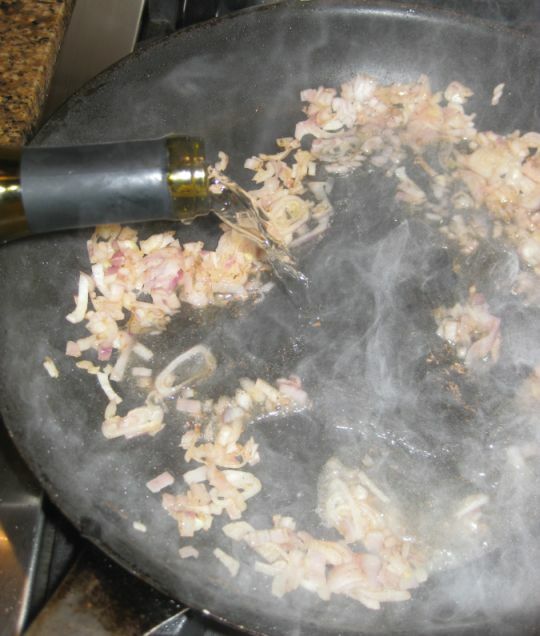 While the sauce is thickening, chopped the tarragon..
Add the tarragon to the skillet. Taste the sauce and adjust seasoning.